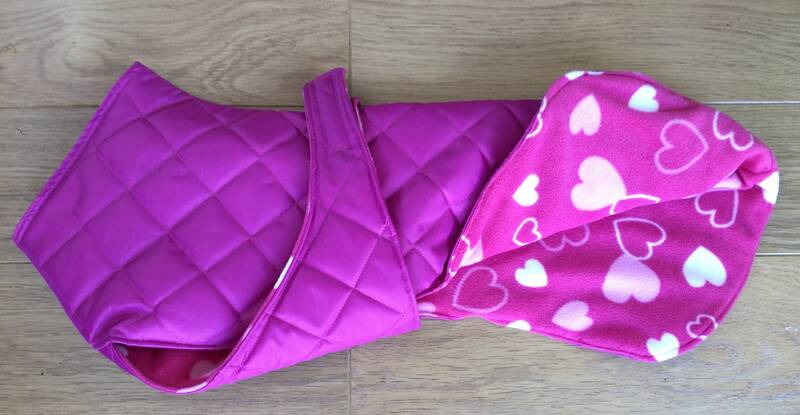 Readymade pink quilted waterproof fleece lined winter coats with underbelly protection. The 18” with fit up to 19” and a small framed 20” whippet. Other sizes will be available soon in other colours.